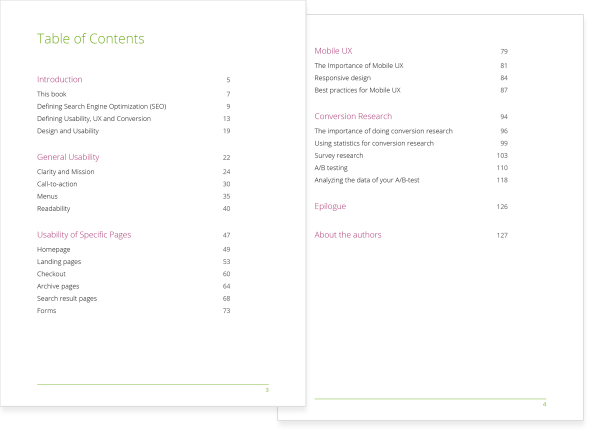 As of today, we offer a brand new eBook ‘UX & Conversion from a holistic SEO perspective‘. This eBook focuses on many different aspects of UX and Usability and gives great insights in Conversion Rate Optimization and A/B-testing. The eBook is offered for only $14 the entire month of October (after that the price will be $19). We cover the basics, but also provide more in-depth information on User Experience and Conversion. The book consists of five sections: an introduction, a section about general usability issues, a section about usability of specific pages, a section about mobile UX and a final section about conversion research. The chapters are all written by Joost de Valk, Michiel Heijmans, Thijs de Valk and Marieke van de Rakt. The eBook consists of 128 pages, you will receive a PDF, a Kindle version and an ePub version. UX is important for both conversion as well as SEO. We consider UX as a very important part of a holistic SEO strategy. In order to keep ranking well in Google, you should continuously invest in decent UX on your website. 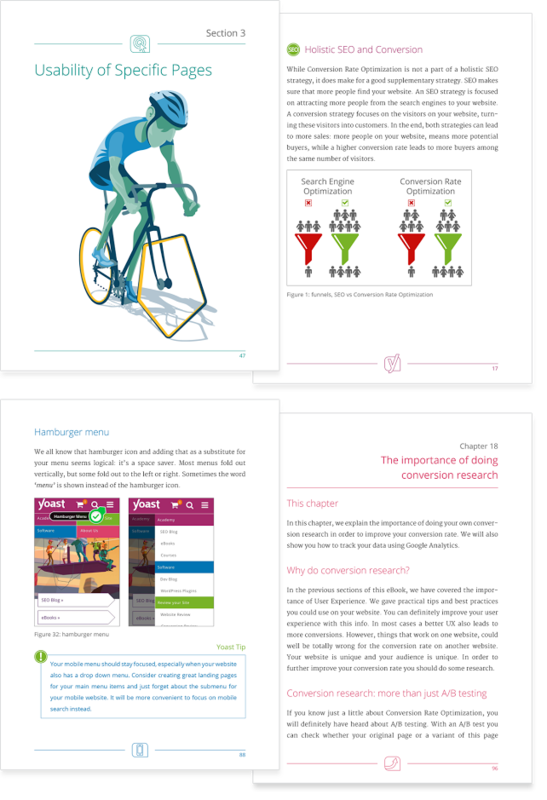 Our eBook will give practical tips and useful insights in both UX and conversion.